In the Branco Weiss teacher-mentoring model, a professional dialogue about issues related to instruction and learning occupies center stage. We believe that school is the true laboratory for educational innovation. Our model encourages school teachers to serve as pedagogical leaders. 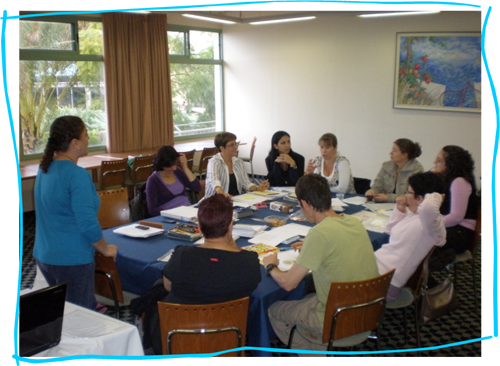 They learn to lead collaborative processes with their colleagues and to conduct observations of and feedback about classroom lessons, including the use of videotaped lessons to improve and expand their didactic repertoire. They learn to run a dynamic and professional community of teachers that assumes responsibility for shaping the twenty-first century school.